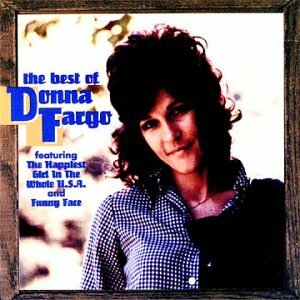 This is the most recent information about Donna Fargo that has been submitted to amIright. 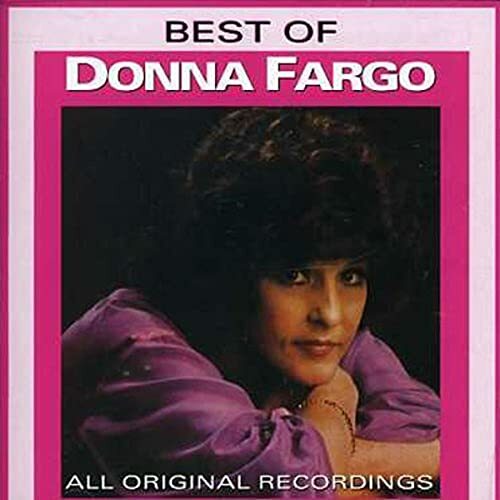 If we have more information about Donna Fargo, then we provide a link to the section where it appears (the actual page whenever possible). "Rotten Little Son" originally "Rotten Little Song"
"You Can't Be A Beacon (If Our Light Don't Shine)" originally "You Can't Be A Beacon (If Your Light Don't Shine)"
"Little Gil Gone" originally "Little Girl Gone"
"Funny Ace" originally "Funny Face"
"You Can't Be A Bacon (If Your Light Don't Shine)" originally "You Can't Be A Beacon (If Your Light Don't Shine)"
"Funny Farce" originally "Funny Face"
"Rotted Little Song" originally "Rotten Little Song"
"Rotten Little Gong" originally "Rotten Little Song"
"Rotten Little Bong" originally "Rotten Little Song"
"You Can't Be A Deacon If Your Light Don't Shine" originally "You Can't Be A Beacon If Your Light Don't Shine"
"Little Girl Done" originally "Little Girl Gone"
Donna Fargo Ain't It A Funny Face? Donna Fargo Did I Shave My Legs And Funny Face For This? "Happiest Girl In The Whole USA"
Okay, what does "skip-a-deh-doo-daah" mean? And why is it followed by 'day'?!?!? Funny Face, I love you. Funny Face, I need you. My whole world's wrapped up in you. "You Can't Be A Beacon (If Your Light Don't Shine)"
You can't be a beacon if your light don't shine, you can't be a beacon if your light don't shine.There's a little light in all of us by God's design. Was she once popular there? "Lion Leg Glitter" originally "Little Girl Gone"
"I Tell Long Tiger" originally "Little Girl Gone"
"Teen Girl Got Ill" originally "Little Girl Gone"
"U.S. Oaf" originally "U.S. of A." "Lee Got Lint Girl" originally "Little Girl Gone"
I'm the happiest girl in the whole U.S.A.
"You Can't Be A Leakin' (If Your Bite Don't Shine)" originally "You Can't Be A Beacon (If Your Light Don't Shine)"
She was diagnosed with the disease in 1979, which resulted in her decline in her career and public appearances. Yet she has recorded sporadically since.